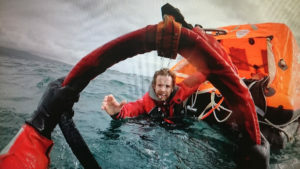 UK sailor Edward Harwood says his Ocean Signal SafeSea 100G EPIRB ‘proved worth its weight in gold’ after he and his crew were dramatically rescued from their sinking yacht, Mistral, off the Costa Del Morte, Northern Spain. 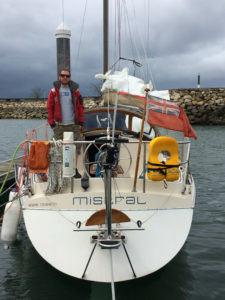 On passage back to the UK, sailing from Villa Nova de Arousa to France on-board the 1977 Dehler Optima 92, the sailors found themselves in a life-threatening situation after discovering the boat was taking on water near Biscay’s ‘Coast of Death’ following rough weather and Force 7 wind at the start of their voyage. They immediately located the grab bag, prepared the life raft and activated the Ocean Signal EPIRB (Emergency Position-Indicating Radio Beacon) as efforts to pump the vessel out to save her proved fruitless. With the boat now stationary and low down by the bow, they also sent out a Mayday on the handheld VHF but there was no response. 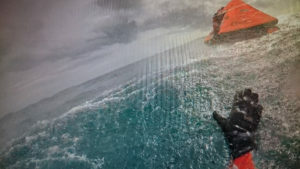 Just minutes after abandoning the yacht and climbing into the life raft, the sailors had received a radio message and were communicating with the rescue authorities who informed them they had seen the EPIRB alert and had been contacted by the UK coastguard. Edward added: “The Ocean Signal EPIRB is a truly outstanding product. It is easy to use in an emergency situation, fast and faultlessly reliable, plus it is by far the toughest and best quality. I will use one all my sailing life. I can think of no better and more necessary bit of safety equipment to have aboard. For further information about Ocean Signal’s products, visit Stand 03.125 or go to www.oceansignal.com.